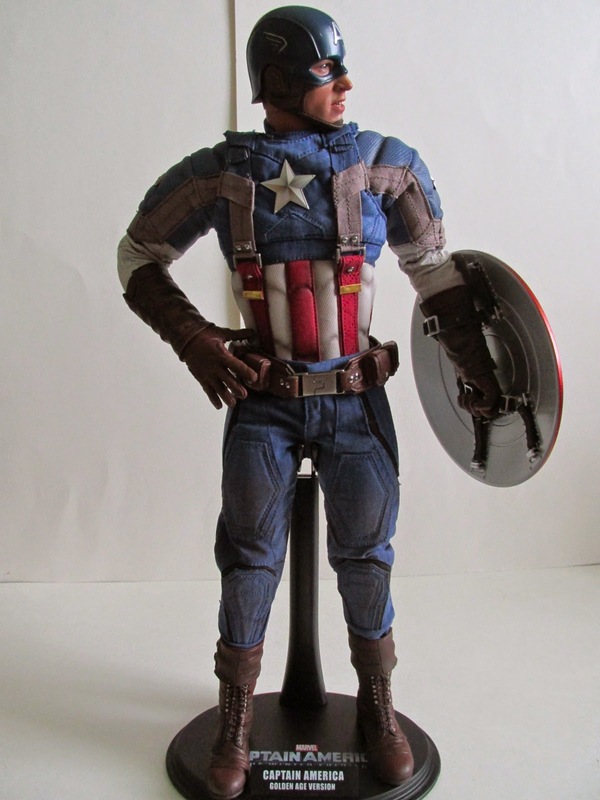 Hot Toys has finally released their special movie promo edition of Captain America from The Winter Soldier film. 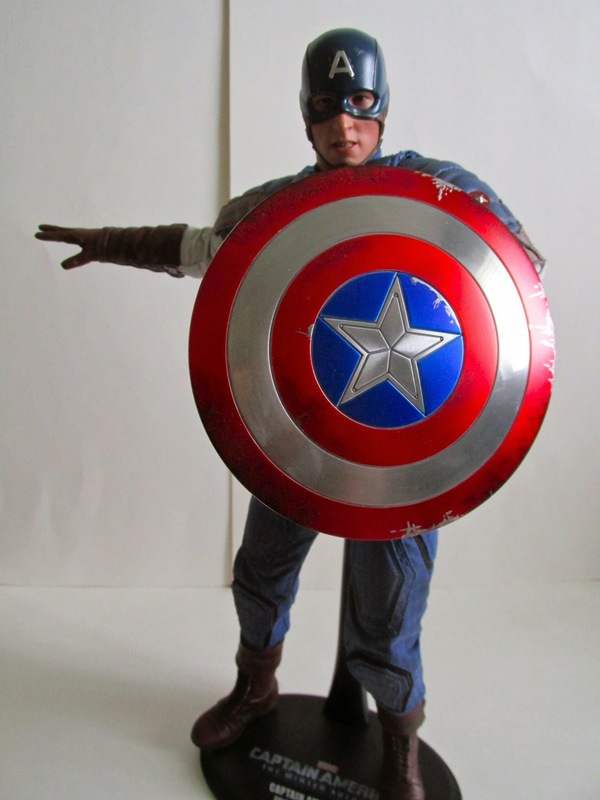 This is the Golden Age Captain America and is the costume he wears at the end of the film after ditching his stealth suit. 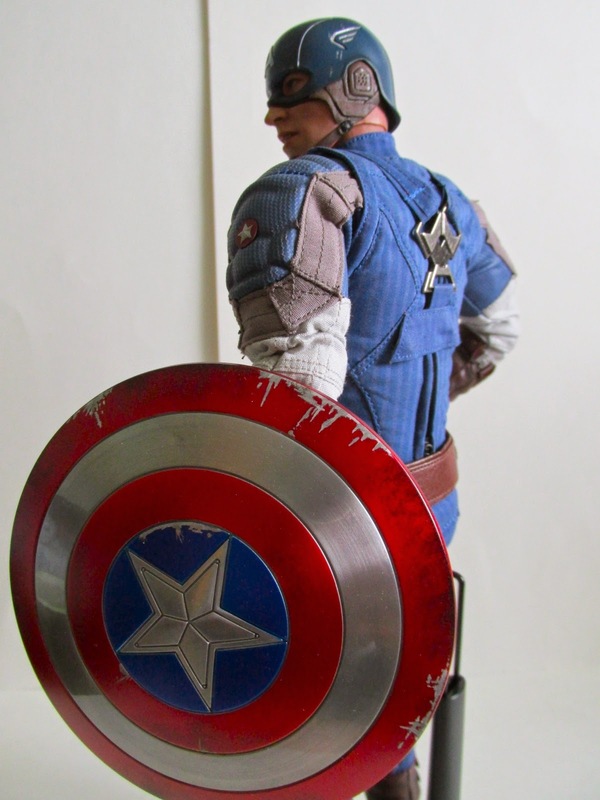 This costume is actually the same costume from Captain America: The First Avenger, and Hot Toys released this version of the costume back during that time. I don’t own the original release, but from what I can tell on other posts and photos this figure is a slight upgrade from that one. First off, the face sculpt is different. They decided to show his teeth for this one as if he is biting down and about to get intense. This isn’t a terrible expression, but he does look odd in some angles. Can’t complain though and impressed with this sculpt. The costume is given a slight battle damage and worn look. Upon closer inspection, you can see the costume is not pristine but, in fact, has some dirt and grime throughout. The star on his chest even has some dirt in the center. Another great detail is the scratches on his cowl. 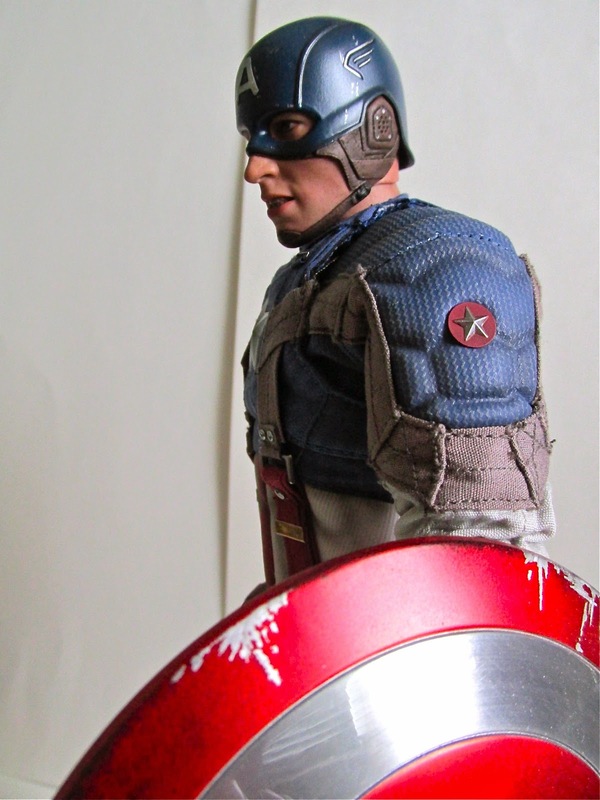 The scratches are all over it and give a great worn feeling that one would expect Cap has seen in battle. This same detail of a worn look is carried over from the Iron Man series with all the armors having some kind of battle damaged scratches. Accessories wise he doesn’t come with much just the standard set of hands, the usual base with cradle, and his shield. 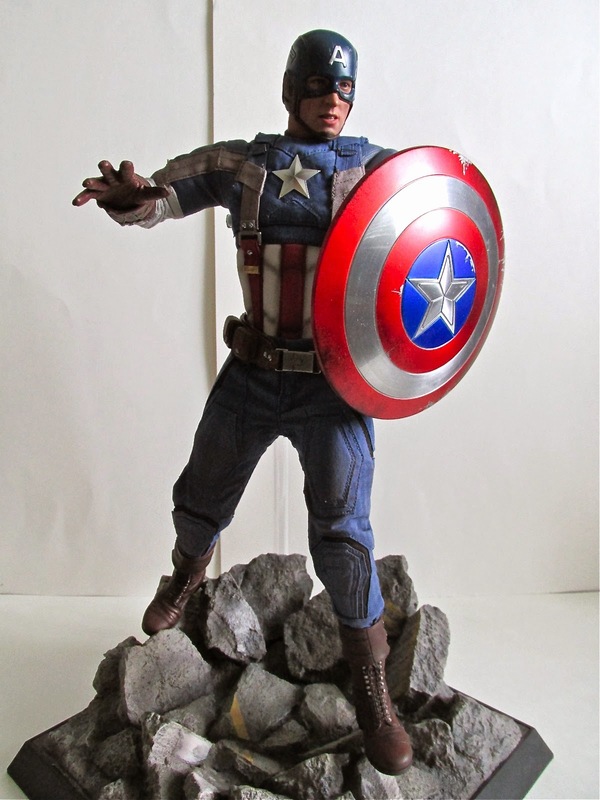 Of course, the shield is his best accessory and this time around it is a die cast shield unlike the previous plastic ones that have been released. This shield has some great battle damage on it and the paint job is also great. I’m hoping this time around the paint won’t start to crack and flake off like on the plastic shields. Time will tell though because most likely the paint used on the plastic shield just didn’t agree with each other because of whatever chemicals they were made of. The die cast shield should be a nice upgrade and should be more durable i.e. no paint flaking...hopefully. The only problem I had with this figure and something to look out for is the buckle for the shield. 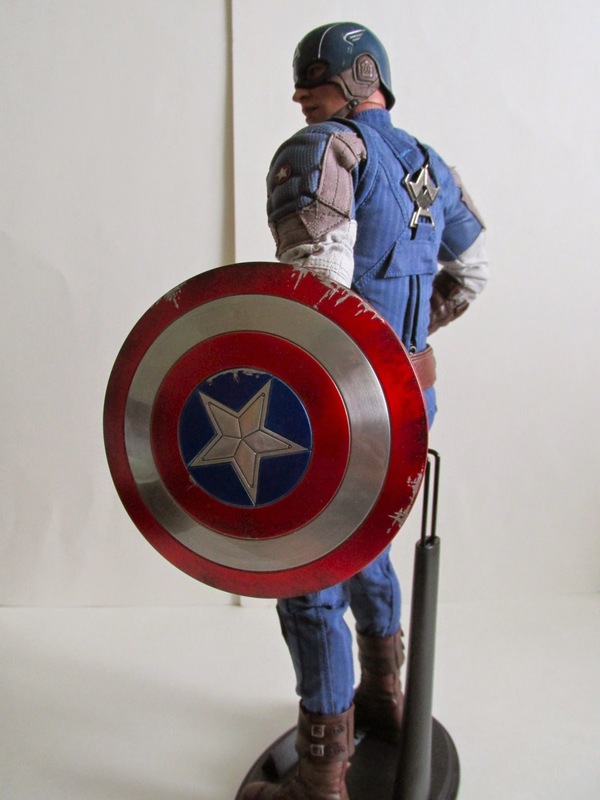 When I got mine, the strap came apart from the buckle, and I was left with no way to attach his hand to the shield. The glue must have just dried out because of the heat and came a part. Luckily, I just glued it back together again, and it should hold for a little bit. Another win for Hot Toys I would say. 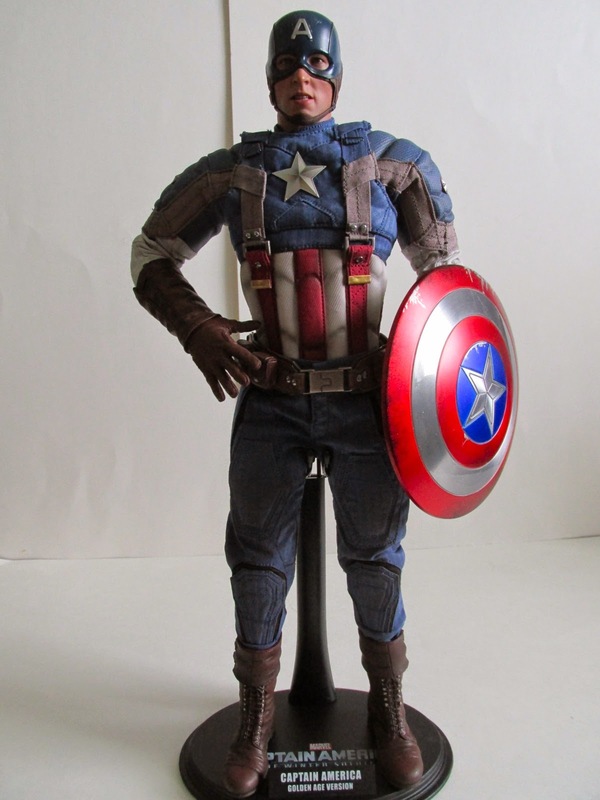 If you already own The First Avenger Captain America, I’m not sure it would be worth to upgrade to this unless you just didn’t like the first release. Overall, great figure and a nice piece to the ever growing Marvel film line from Hot Toys.